We are a team of enthusiasts that love what they do and enjoy the results together with our clients. Ready for difficult, big and small challenges. We are happy to support your design process from the very beginning to the final installation. Contact us for a meeting and let's do great things together. We pride ourselves on exceeding customer expectations. We use the highest quality, locally sourced materials to ensure our project adds value to your home for years to come. We are a wholesale leader in antiques and collectibles, unique home furnishing, outdoor garden items and accessories. With an impressive 15 years history. We provide vast experience, unparalleled quality and dedication to customer service. We source products from all the leading manufactures around the world and offer the finest selection for your home or business. We offer not only the best products at great prices, but we pride ourselves on high-quality service, we understand that it is equally important to receive great support with every purchase to build a long-term relationship. We want our customers to feel comfortable to call us whenever they are not 100% satisfied with any part of ordering process. Once again. We provide top notch products, with the service to back it up. 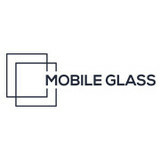 Custom Frameless Glass Solutions. Exceptional design and installation of Glass product projects: -Shower Doors and Shower Enclosures -Glass Door Systems -Glass Partition Walls -Glass railing -Back-painted glass Our Team is experienced, educated, certified, licensed and are the best in the industry. Our field technicians have minimum of 10+ years of experience. We proudly work with Homeowners, Designers, Builders and Contractors. ALL COUNTY GLASS & MIRROR INC.
Offering a wide range of glass and mirror services for all your residential and commercial needs, All County Glass and Mirror Inc. provides top quality custom design and installation work. Our experienced glass specialists can meet all your needs because we have the training and understanding to address any situation. Our service is a cut above the rest and backed by years of top-notch customer service. Berlin Glass & Mirror was established as a family business in 1952 in a small garage, across the street from our current location. The current building was built shortly thereafter and was expanded over several decades to its current 10,000 square feet. Throughout this time the company thrived and expanded, currently employing ten employees and operating a fleet of five company vehicles. In 2003 the current owners purchased the company. At that time the company vehicles were upgraded, computers were installed and new process management controls were implemented. Since that time sales have doubled. Berlin Glass & Mirror occupies a unique niche in the retail glass business. We specialize in custom residential and small scale commercial projects. Because of our small size we make every effort to ensure personalized attention to all of our customers needs. We realize that satisfying our customers is critical to the success of our company. Our friendly and knowledgeable staff provides prompt answers to all of your inquiries. O & R Glass Company is family-owned and operated right here in Philadelphia, PA. We have been in business for over 20 years. We feel the most important part of what we do is to always provide high quality work at a reasonable price. We are set apart by our vision to see communities grow, as new businesses open and create jobs, also to be there when there is a need for glass replacement. At O & R Glass is not just about a piece of broken glass, it's about giving you ideas to make your home beautiful or give your business a professional appeal. Other companies may offer similar services, but our services come with a personal touch. 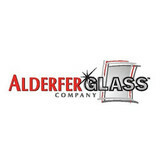 We are a local Woman-owned glass company that provides versatile, high quality professional services for fabrication of custom shower doors, commercial storefronts, windows, windshields, mirrors, table tops, screens, and glass projects. Glass is one of the most useful materials to use in a home, but it takes a skilled glass company in Doylestown, PA to correctly handle it. You use it all around the house, whether you realize it or not — windows, doors, showers, mirrors and more. While glass can be a very sturdy material, it’s also prone to break if not properly maintained. Make sure you hire professional Doylestown glass companies to install or repair your products safely so you can live comfortably. 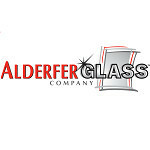 What can a local Doylestown glass company help me with? If it’s a major home glass repair or replacement, the Doylestown glass company should work directly with your insurance company to help bring down costs for you, if applicable. 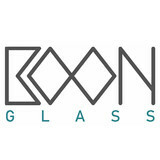 Find Doylestown glass companies on Houzz. 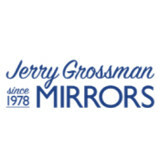 Narrow your search in the Professionals section of the website to local glass, mirror and shower door services in Doylestown, PA and read reviews and ratings to find one that fits your needs.